If you are looking for experienced roofing contractors in the Swansea (South Wales) area then you are in the right place. Swansea Roofers have been building and repairing rooves in the Swansea and South Wales area for years and have many satisfied customers who come back over time and recommend us to their friends and family. What do you look for in a Roofing Contractor in Swansea? Reliability has to be the number one quality. Your roof serves many functions and keeping you warm and dry, safe inside from the elements is just one. If there is one area of the building trade that has been beset with cowboys, it is surely roofing. We all remember stories of people getting conned out of large sums of money following storms when roof tiles have been blown off and rooves damaged. We only employ and work with time served and suitably qualified roofers, having spent many years learning our craft so you can be sure that we will create a roof or roof repair that looks great, is safe for many years to come and keeps your home or business safe and warm from the elements. Whether you live in and around the Swansea area or not, the choice of roofing contractor is an important one. There is probably nothing more essential to the fabric of any building than the roof and it’s supporting structure. We are not only experienced but also have the connections and network needed to complete any roofing job to your complete satisfaction. When we work on a site, we are mindful of the fact that people live and/or work there and may need to put up with inconvenience while we are working on site. We take extra care to ensure that the daily life of people in and around the area where we are working is disrupted as little as possible. Of course, we are operating in a construction area so safety is and always will be our first priority. We understand that people will not want to be disturbed from their every day activities; however disruption is sometimes necessary and we cannot compromise the safety of our customers or employees in any way. 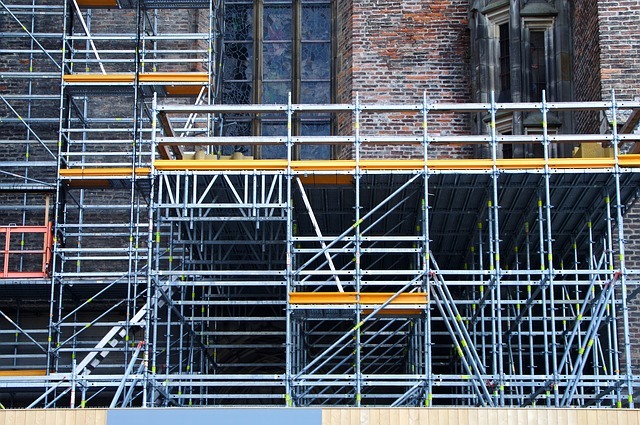 One question that we get asked time and again is “Do we really need scaffolding?” Of course we understand that people will want to keep costs at a minimum; however the answer to that question normally is, yes, we do need scaffolding. Scaffolding and building cladding is now (and always should have been) an essential, far too many people have been seriously injured through unsafe working practices, something that is wrong and completely avoidable. We will keep scaffolding hire or rental costs down and complete work as quickly as we possibly can, please don’t pressurise us to work in an unsafe manner. Please call us on 0793-0673053 and we will be happy to help in any way we can. Most of our work is guaranteed for ten years and this is certainly the case for new roof builds. Where we undertake repairs, the work is generally guaranteed for twelve months depending on the situation regarding the surrounding area and existing roof/ building construction. We are fully insured, both for Public liability as well as the all important Employers liability insurance. Copyright ® 2016 Swansea Roofers. All rights reserved. Powered by South Wales Marketing .